District has two Sub Divisions. 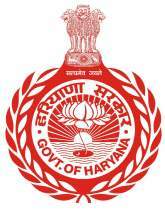 District Panchkula was formed on 15th August 1995 as the 17th district of Haryana state in India. It comprises of two sub divisions and two Tehsils namely Panchkula and Kalka. It has 253 revenue villages. Panchkula city is the headquarters of this district. It is a satellite city of the Union Territory of Chandigarh and is part of Chandigarh Capital Region. It also shares seamless border with Himachal Pradesh and Punjab. Chandimandir Cantonment is also located in this district, adjoining the Panchkula Urban Estate. Morni, only Hill station of Haryana is also located here.As per census 2011, total population of the district is 5,61,293 the least populous district of Haryana.